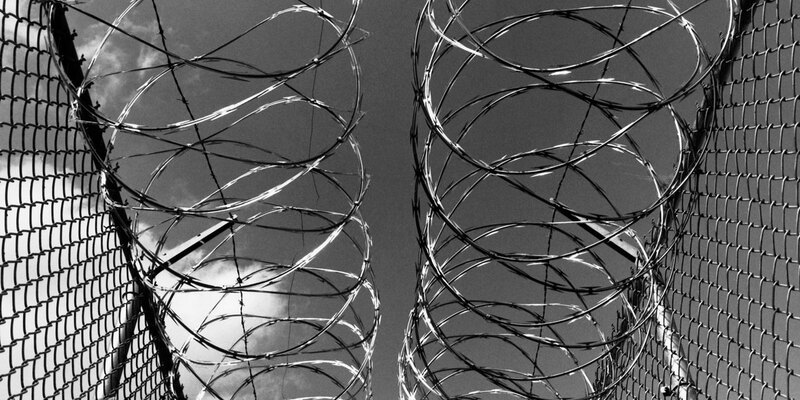 An End to Mass Incarceration If we're at the end of mass incarceration, what works better? For 30 years, we’ve been putting more and more people behind bars. What are the fiscal, moral and practical advantages of rehabilitation? The U.S. prison population has grown by 500 percent in 30 years. Many have called for an end to this “mass incarceration” and its social and fiscal costs. Today, changes in drug sentencing laws, state budget crises and other factors are contributing to re-introduction of rehabilitation and options instead of prison for those in the criminal justice system. 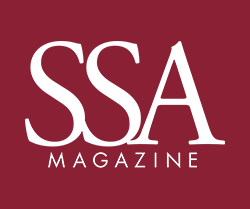 SSA’s Matthew Epperson and Robert Fairbanks comment on these trends and discuss their research on, respectively, probation for defendants with mental illness and the Sheridan Correctional Center, the nation’s largest substance abuse treatment prison. For Matthew Epperson, the problem is clear, even though he knows that forging the path to solutions won’t be easy. Starting in the 1970s and picking up steam over the last several decades, the answer to how to deal with persons who commit crimes in the United States moved far away from an established rehabilitation model to a simpler idea: Punish them, typically by putting them in prison. The era of mass incarceration has seen the U.S. prison population grow by 500 percent in 30 years. Including those in local jails, more than 2.3 million Americans are incarcerated today, and the U.S. has the highest incarceration rate in the world, five times more than in England; 12 times more than in Japan. Fairbanks points out that roughly two-thirds of the 35,000 prisoners who are released from Illinois prisons each year return to just seven zip codes on the West and South sides of Chicago, where black male unemployment is over 40 percent. In 1950, 70 percent of those behind bars were white, by 1990, the ratio had flipped: 70 percent were African American and Latino. One 2008 study found that, in Illinois, 68 percent of those imprisoned are African American, and of the drug offenders who are returning to Chicago after release, 92 percent are African American. “At the end, this tough on crime approach means a whole lot of people are returning to their neighborhoods with little options or education or training,” says Pamela F. Rodriguez, A.M. ’92, the president at Treatment Alternatives for Safe Communities (TASC), a nonprofit that provides services and advocates for individuals in the criminal justice system with substance abuse and mental health disorders. There is a growing chorus against mass incarceration, which ranges from those like Michelle Alexander, author of The New Jim Crow, who argues that how we’ve filled our prisons allows society to discriminate against African Americans, to economic pragmatists who can see that as a policy, mass incarnation isn’t working. In 1987, states spent $10.6 billion on corrections. By 2008, that figure had risen to $47 billion. “Ironically, part of the fiscal fallout of the state budget crises and high recidivism rates is that there is some consensus that systematic mass incarceration is simply unsustainable,” Fairbanks says. “Ironically, part of the fiscal fallout of the state budget crises and high recidivism rates is that there is some consensus that systematic mass incarceration is simply unsustainable,” Fairbanks says. Change is starting to come. Over the last decade, harsh sentencing guidelines, such as New York’s 1970s-era Rockefeller Drug Laws, have been rewritten, and the high cost of incarceration and recent state budget crises have made many states rethink their prison systems—and even start releasing some prisoners early. From 2009 to 2010, for the first time in nearly 30 years, the number of people behind bars dropped, albeit slightly. As more and more attention is focused on ending the era of mass incarceration, the question becomes, what will replace it? Trends would indicate that community supervision will become even more commonplace; currently, more than 5 million of the 7.2 million Americans in the U.S. criminal justice system are on probation or parole. Yet for the last three decades, with the philosophy of rehabilitation on the wane, the criminal justice system provided fewer resources for helping those on probation or parole, fewer services to inmates while in prison, and little in the way of assistance for ex-offenders re-entering society after being incarcerated. Here too, the tide is starting to turn. In 2002, for example, the National Institute of Corrections funded a pilot program in Illinois and Maine to start using an evidence-based model for adults on probation. With a uniform assessment tool for new probationers of risk factors like employment history, available family support, and substance abuse and mental health issues, probation officers are better able to determine the level of oversight and which services should be made available. Two or three times a week for the past year, Robert Fairbanks has been driving 70 miles southwest of Chicago to spend most of the day at Sheridan Correctional Center. He visits with some of the 1,700 prisoners in the cell blocks, eats at the chow hall, talks with the staff. Sheridan is a medium security facility that serves as the nation’s largest substance abuse treatment prison. With 40 percent of the Illinois Department of Corrections population incarcerated for drug offences as of 2005, Sheridan’s goal is to help the inmates address their addictions and become better prepared for community integration after their release. Two-thirds of the inmates are nonviolent offenders who became caught up in the drug economy or committed crimes to get money to feed their addictions. Fairbanks’ ethnographic study of Sheridan is part of his research for a book on the program that will look at what life is like at the prison and how the treatment options work. “Originally I was planning on moving around a lot more among the 25 different cell block houses. I value deep immersion with this work, though, and it became clear to me pretty quickly that I’ll get a lot more out of revisiting one block over an extended period of time,” he says. With his deeper relationships with inmates in one locale, he can follow them as they are transferred to other cell blocks, prisons or even back into their communities. Sheridan’s clinicians primarily use the Therapeutic Community model of treatment, probably best known as a “boot camp” approach that requires frank, sometimes confrontational interaction between peers. “There’s been a lot of traction historically with TC in prisons. The intervention tries to force a fork in the road, for the client to disavow anti-social behavior en route to pro social behavior,” Fairbanks says. Fairbanks splits the prisoners he met and interviewed into roughly three categories, those who buy into the program, those who resist and even work to undermine it, and those who are just trying to fly below the radar and get by. After all, he says, despite the hopes and options promised by the therapy, the prisoners point out that at the end of the day, it’s still prison. “It can be a bit insidious for the inmates, the idea of an inmate management strategy under the guise of therapy,” he argues. Yet Fairbanks also says that he has seen the value for many prisoners in sitting in a group and spending time talking about changing behavior after release, and the fact that there might be some extra supports when the prisoners return to the community can help as well. And because all the prisoners at Sheridan are within three years of being released, they have more to lose and less incentive to cause trouble, so problems with gangs and violent behavior are relatively low. Clearly, there are benefits to a broader vision of how a prison is run. Despite these positives, however, Fairbanks remains leery of any underlying idea that the recovery model—with its focus on personal choices about substance use and criminal behavior can be a primary tool to stop overfilling our prisons, considering the economic realities and lack of opportunities that face low-income communities. “In the TC model, there is an incessant emphasis on the idea that ‘you just have to make better choices.’ To the extent that this is offered as something of a panacea, this strikes me as superficial,” he says. Much of Matthew Epperson’s research has been on another aspect of the criminal justice system, probation. In Cook County, he is now working on a study comparing three different programs that deal with people with serious mental illnesses who are given probation: standard adult probation, a specialized mental health probation unit and a mental health court. “People with serious mental illnesses tend to flounder in the criminal justice system. They generally spend more time incarcerated, and they are more likely to recidivate,” Epperson explains. “This study will compare these three options here in Cook County and examine what effect they have on outcomes." Specialized mental health probation is an alternative to incarceration that can be offered to a person who’s been convicted of a crime, providing a specially trained probation officer who makes mental health treatment a condition of probation. The mental health court is one of nearly 20 specialized courts in Cook County—including courts dedicated to domestic violence, veterans and substance abuse—and includes fewer cases and a team that is familiar with mental health issues and treatment. Epperson has been collecting data from direct observation of all three programs and has conducted interviews with clients and staff. Later this year, he’ll also perform a quantitative analysis on recidivism and what types of treatment were accessed by the clients. Research like this will be crucial to finding what works best to help provide supports and services to those enmeshed in the criminal justice system. Rodriguez points out that over the last few years, new programs in Illinois have been launched that aim to improve re-entry for ex offenders and give options to incarceration for non-violent offenders by redirecting money from prisons to community programs. When state budgets improve, will that mean more money for services—or take away the fiscal crunch that’s one reason we’re reconsidering overcrowded prisons? Time will tell, but for Epperson, the movement seems to be a real one, even if the final destination isn’t obvious.